At One Whole Health we encourage you to eat foods that look like you want to feel! Theses very same foods also create positive thoughts, a strong body and a rich life experience. Literally, these foods encourage the production of brain chemicals that have you feeling good. 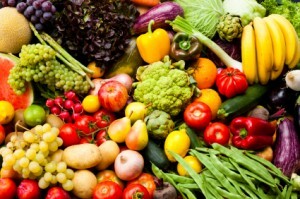 Each individual’s unique body chemistry and lifestyle must be taken into account, however most people benefits from including a wide variety of whole foods in their diet. Low Carb Vegetables-7-13 servings (1/2 cup) per day. Fats–YES WE SAID FATS. Omega 3 and Saturated Fats. At least 3 Tbsp per day of oils like extra virgin olive oil and/or flax oil for salads. Coconut oil, butter, ghee (clarified butter) or extra virgin olive oil for cooking. Avocados, nuts, seeds, coconut Milk, as desired. Try raw soaked nuts and seeds-almonds, sunflower, pumpkin, walnut. High Carb Foods-A moderate amount of fruits, high carb vegetables (carrots, winter squash, potatoes, yams, or sweet potatoes), legumes and grains as metabolism, weight and energy require. Avoid grains that you are intolerant to-wheat, rye, oats and barley. Only 100% whole grains. Eight, uninterrupted hours of sleep each night. Exercise-30 min 3-4 times a week. A 90 min walk can increase serotonin levels by 100%. Bad Fats-Trans fats and vegetable oil. Vegetable oils that are Omega 6 based disrupt Omega 3 utilization.